Twenty cleverly crafted words wins one lucky person a year’s stay at one of Kuala Lumpur’s leading hotels. The winning entry that read “My partner Isabelle, Sea to my shell, Magic to my spell, Toffee to my caramel, Banyan Tree to Pavilion Hotel!” was enough for Mr. Fong Bowie to earn monthly complimentary stays for the entire year at Pavilion Hotel Kuala Lumpur. 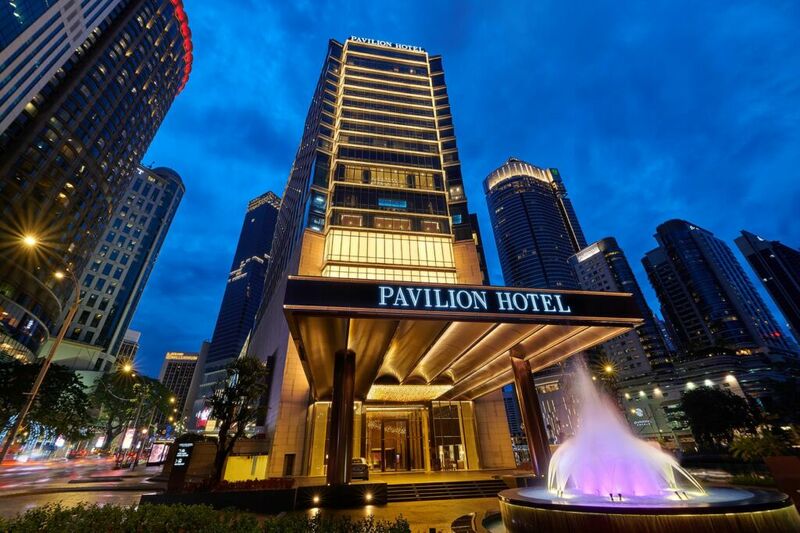 “We are excited for Bowie and his special ONE to experience our Urban Sanctuary at Pavilion Hotel Kuala Lumpur. The very reason we organised this contest was to reward the winner with a year’s worth of luxurious comfort. Truly, he will get to bask in understated warmth, impeccable service and unrivalled experiences within the confines of the hotel in this tropical metropolis, and I am sure Bowie will feel right at home with us, making his 2019 a memorable one. The best part is that he will be able to bring along his special ONE to accompany him for the year-long stay and cherish these moments together. 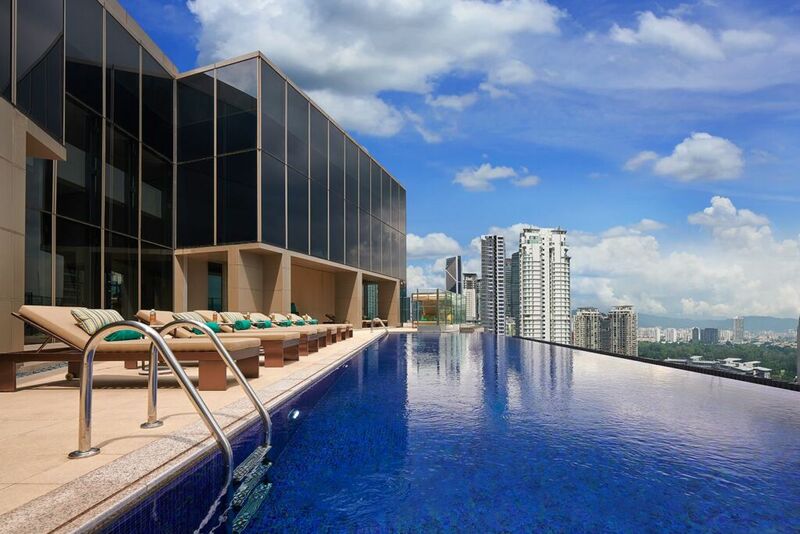 We are thrilled to be able to be a part of this incredible chapter in their story,” said Anders Dimblad, General Manager of Pavilion Hotel Kuala Lumpur. In addition to the complimentary stay, Bowie will also be entitled to a daily buffet breakfast for two at The Courtyard, dinner for two at Ebisu, two drinks at Whisky Cove and a 60-minute full body massage for two at the award-winning Banyan Tree Spa on a monthly basis throughout the year. This is truly a treat for the senses as Banyan Tree Spa is famous for its exotic blend of ancient health and beauty practices which have been passed down from generation to generation. Placing emphasis on human touch with a traditional and holistic approach to physical, mental and spiritual renewal, it truly is an unrivalled unique experience not found anywhere else. 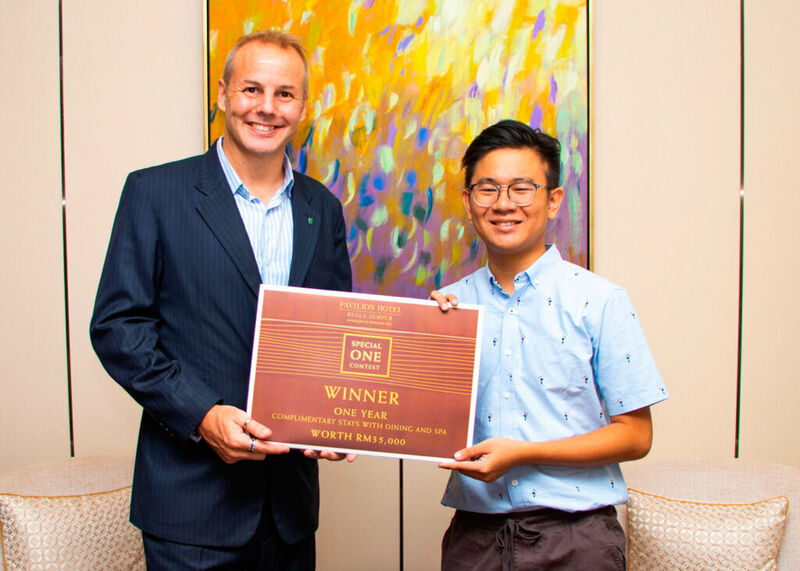 Fong Bowie (right) accepting the prize for the Special ONE Contest from Anders Dimblad, General Manager of Pavilion Hotel Kuala Lumpur Managed by Banyan Tree (left). “I was shocked when I found out I won, as there were some really good entries in the contest. With this win, I can’t wait to plan my getaways to the Pavilion Hotel Kuala Lumpur so I can de-stress and be pampered. The inspiration behind my answer was, of course, my other half and she’ll definitely be the one I will be bringing along for our staycations. I also want to thank Pavilion Hotel Kuala Lumpur so much for making 2019 already so amazing for me and my special ONE! “ said Bowie.